Football season is in full swing, and the biggest games between college football’s fiercest rivals are still to come. Besides the actual sport, fans unite over something equally exciting: tailgating. Tailgating brings the food, fun, and fellowship right before the competition gets heated. 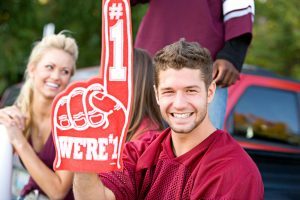 If you’re unable to tailgate at your team’s game, there’s no need to be disappointed. 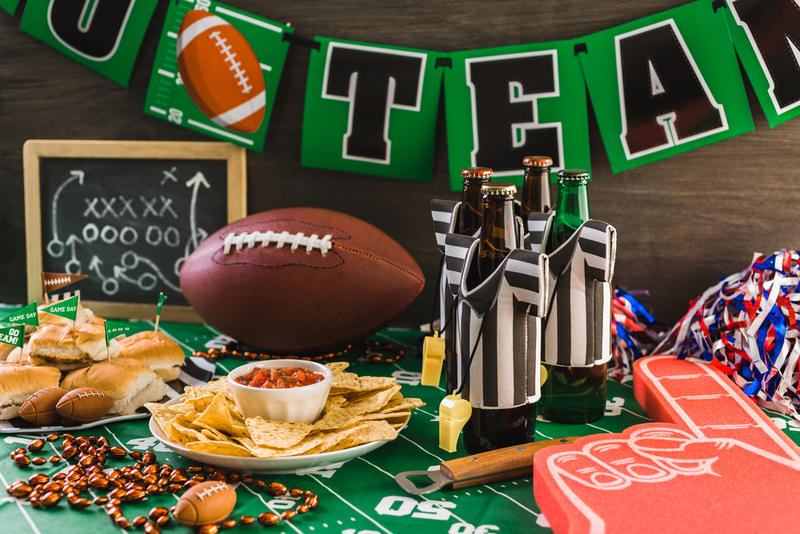 Here’s how you can host a game day party in your apartment that makes you feel like you’re really there. 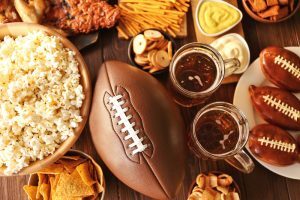 Besides the game, your guest care most about the food. For appetizers, whip out some guacamole and chips along with some other finger foods. For the main course, grill up some hamburgers and hotdogs on your balcony or your apartments’ common grounds. No grills allowed? No problem! Start up the stovetop and stir up some hearty chili. Nothing beats a Saturday afternoon cracking open a cold one. 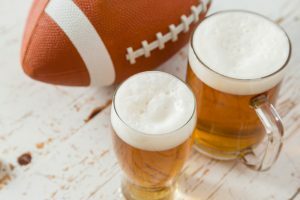 That’s why you’ll need plenty of cold beer and a cooler for your game day party. For a seasonal spin on your game day beer, try making a Pumpkin Beer Cocktail. No tailgate menu is complete without tasty desserts. They’re the cherry on top of a perfect array of tailgating party menus. For your party, try baking some Triple-Chocolate Brownies. With three times the chocolatey goodness, they’ll please even the biggest sweet tooth. You can’t have a true party without some decorations. Go find your team’s shakers, pennants and flags. Also, you can hang some balloons in your team’s colors. Want to save some money? Consider being a DIY master and make your own football-themed decor. Just remember to make sure you comply with your apartment’s decorating policies! Planning a party can be stressful. But it is possible to have a successful party without all the worry! Cooking all the food, getting the drinks, and decorating can be too much for one person. 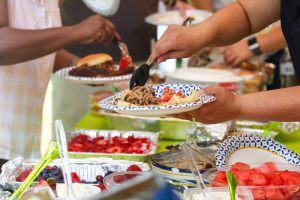 Ask your guest to bring a dish and make the party a potluck. And when you’re chowing down, make sure everyone is using disposable material. That way you don’t have to worry about washing all those dishes in your apartment sink alone. 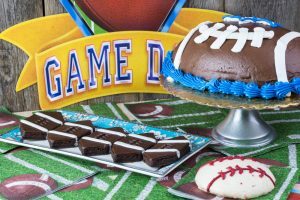 If you follow these five simple tasks, then you’ll have an awesome game day party — and an easy clean-up afterwards!